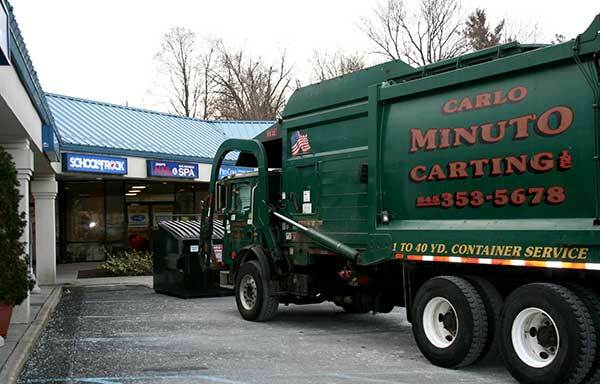 Carlo Minuto’s commercial waste removal & recycling services help you stick to your business without worrying about the trash. We offer affordable, customized plans to suit your exact needs. Carlo Minuto Carting provides a full range of roll off, industrial and compactor services to improve sustainability and add value to your business. Let us collect your construction, demolition and industrial site waste and assist with your special project. This type of truck offers the widest range of container sizes coupled with up to six days per week pick-up in Rockland, Westchester, and Orange Counties. This rear load fleet allows Carlo Minuto Caring to service commercial customers that cannot be serviced by other types of trucks due to on-site restrictions. These affordable containers come in various sizes so they are ideal for household clean-ups, home renovations, and demolition jobs. 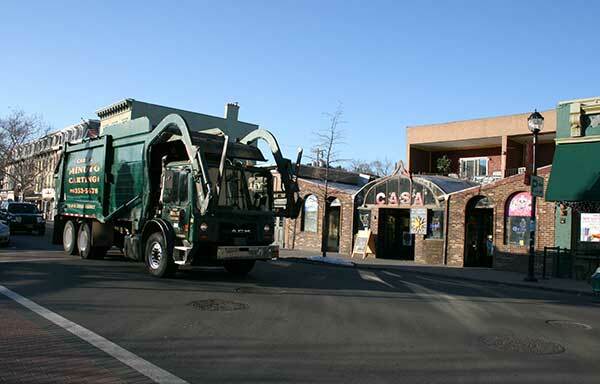 Commercial waste removal and recycling services for office buildings, grocery stores, markets, retail shops, restaurants, gas stations, hotels, non-profit organizations, warehouses, schools, hospitals, group homes, religious buildings, courthouses, stadiums, industrial plants and factories. Contact us today in West Nyack, New York, to reschedule if pickup falls on a holiday or to request billing information. 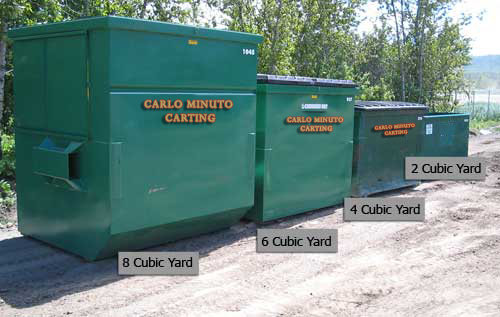 Carlo Minuto Carting offers a full range of containers sized for your job. Let us collect your construction demolition and industrial site waste and assist with your special project.